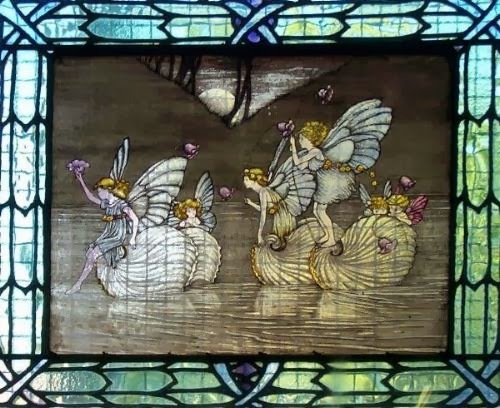 Another little discovery as I search for Ida Rentoul Outhwaite rubber stamps: St Marks church in Fitzroy has four beautiful windows designed by Ida. Look at this link to see where they are, and how to get to seem them. I looked up the address - well, that's a few minute's walk from my work! I might gather up a few like minded workmates (we work in IT, so everyone's interested in everything) and make a visit. How much is left in the sale? I think you're all missing something! Are any of these stamps famous? Fairies and Witches - we're tracking them down! That's a huge male hen!